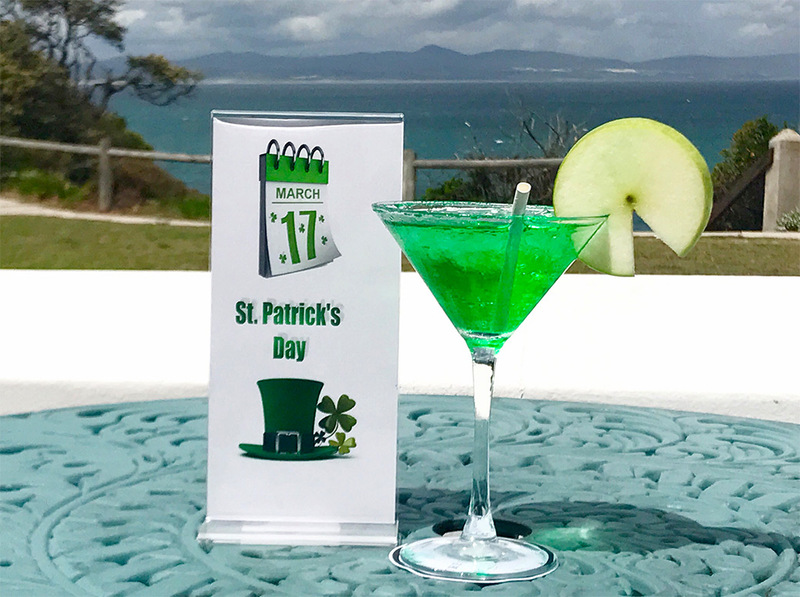 May your glass be ever full – full with our special St Patrick’s Day Appletini that is, if you happen to be at The Marine on 17 March. Served in the Sun Lounge, this exclusive cocktail is green of course, to celebrate the most Irish of Irish holidays. Happy St Patrick’s Day! Add a drop of green food colour to honey. Brush inside rim of glass with the green honey, then dip rim of glass in salt to decorate. Add crushed ice to Martini glass. Add Vodka, Apple Sours and Apple Juice and 2 ice cubes to shaker. Shake well, pour through strainer over the crushed ice. This is one of The Sandbar’s signature Martinis, best enjoyed while admiring the sunset, or as an after-dinner digestif. Inspired by our resident mermaid, we shake Vanilla Vodka and Coconut Rum with fresh mint, lemon sour and pineapple juice. Served straight up, it makes for a wonderfully indulgent treat.